He was born in Barceloneta, Puerto Rico and following a successful amateur career (20-3) he turned pro in 1930. 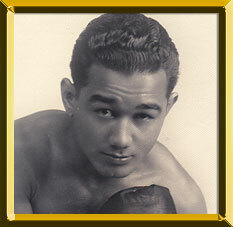 A rugged fighter with a hard punch, Escobar became the first Puerto Rican to win a world title when he KO'd Baby Casanova in 1934 to win the NBA bantamweight title. He lost and regained the crown to Lou Salica before gaining universal recognition as champion following his 1936 victory over Tony Marino. After two successful defenses, he lost and regained the crown to Harry Jeffra. Escobar's reign ended when he relinquished the title in 1939. He retired in 1940. Escobar joined the US Army during World War II. He died in his hometown on Nov. 17, 1979 and a stadium named in his honor thrives today in Puerto Rico.